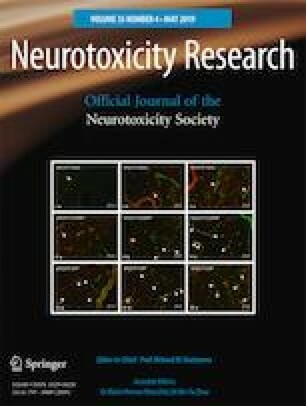 The cytotoxicity of dopamine on cultured cells of neural origin has been used as a tool to explore the mechanisms of dopaminergic neurodegeneration in Parkinson’s disease. In the current study, we have shown that dopamine induces a dose-dependent (10–40 μM) and time-dependent (up to 96 h) loss of cell viability associated with mitochondrial dysfunction and increased intra-cellular accumulation of α-synuclein in cultured SH-SY5Y cells. Dopamine-induced mitochondrial dysfunction and the loss of cell viability under our experimental conditions could be prevented by cyclosporine, a blocker of mitochondrial permeability transition pore, as well as the antioxidant N-acetylcysteine. Interestingly, the dopamine effects on cell viability and mitochondrial functions were significantly prevented by knocking down α-synuclein expression by specific siRNA. Our results suggest that dopamine cytotoxicity is mediated by α-synuclein acting on the mitochondria and impairing its bioenergetic functions. Upasana Ganguly and Anirban Ganguly contributed equally to this work. The online version of this article ( https://doi.org/10.1007/s12640-019-0001-0) contains supplementary material, which is available to authorized users. The work was supported by a research grant to Prof. Sasanka Chakrabarti from the Department of Science and Technology (DST), Government of India (No. SR/SO/HS-026/2012). Dr. Roberto Cappai received funding from the National Health and Medical Research Council (NHMRC) of Australia. Upasana Ganguly and Oishimaya Sen were supported by fellowships, respectively, from the Council of Scientific and Industrial Research (CSIR), Govt. of India (No.09/896(0012)2013-EMR-1) and the Department of Biotechnology (DBT), Govt. of India, respectively. The authors wish to thank the authority of MM (Deemed to be) University, Mullana, Ambala, Haryana, India for support. The authors also thank Mr. Vineet Kumar Khemka for assisting in statistical calculations. Sasanka Chakrabarti is the principal investigator. Oishimaya Sen developed the study with guidance from Sasanka Chakrabarti and Roberto Cappai. Upasana Ganguly and Anirban Ganguly contributed equally in performing the experiments with help of Oishimaya Sen, Arghyadip Sahoo and Gargi Ganguly. Sasanka Chakrabarti analyzed the data and drafted the manuscript with help of Upasana Ganguly and Roberto Cappai. All the authors read and approved the final manuscript. The work was supported by a research grant to Prof. Sasanka Chakrabarti from the Department of Science and Technology (DST), Government of India (No. SR/SO/HS-026/2012). Dr. Roberto Cappai received funding from the National Health and Medical Research Council (NHMRC), Australia. Upasana Ganguly was supported by fellowship from the Council of Scientific and Industrial Research (CSIR), Govt. of India [No. 09/896(0012)2013-EMR-1]. Oishimaya Sen was supported by fellowship from the Department of Biotechnology (DBT), Govt. of India.